Registrations will remain open until Monday 10th at 10:20pm ET. 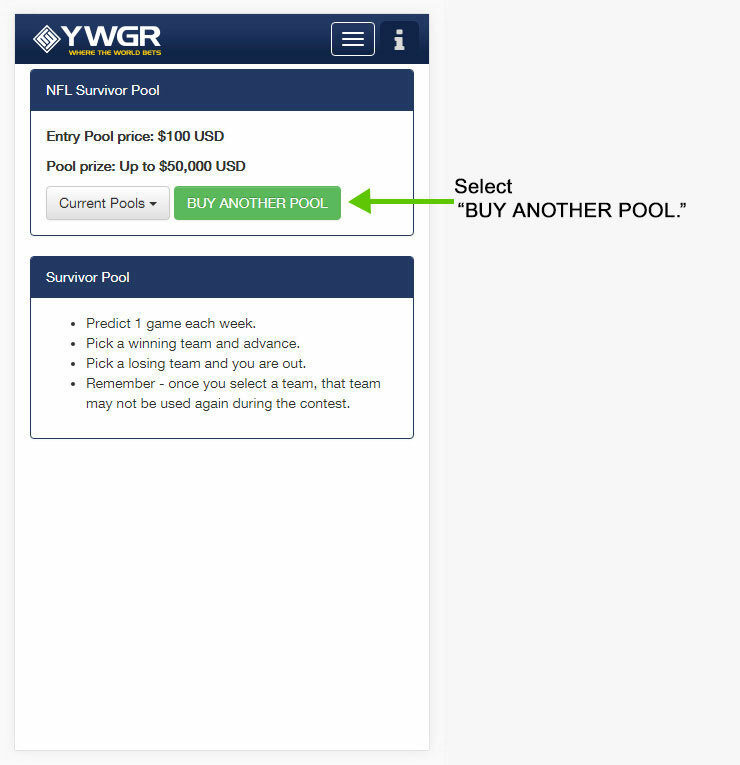 Be aware, when you click “BUY A POOL” you’re immediately entered in the Survivor Pool and debited the $100 entry fee. This fee comes out of your account balance. 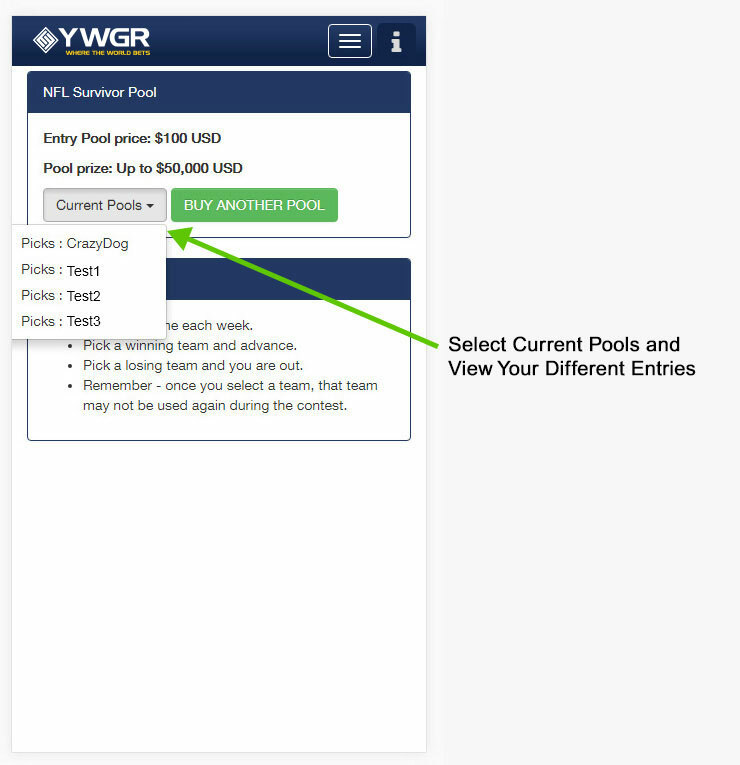 Only click “BUY A POOL” if you’re certain you want to enter the Survivor Pool. 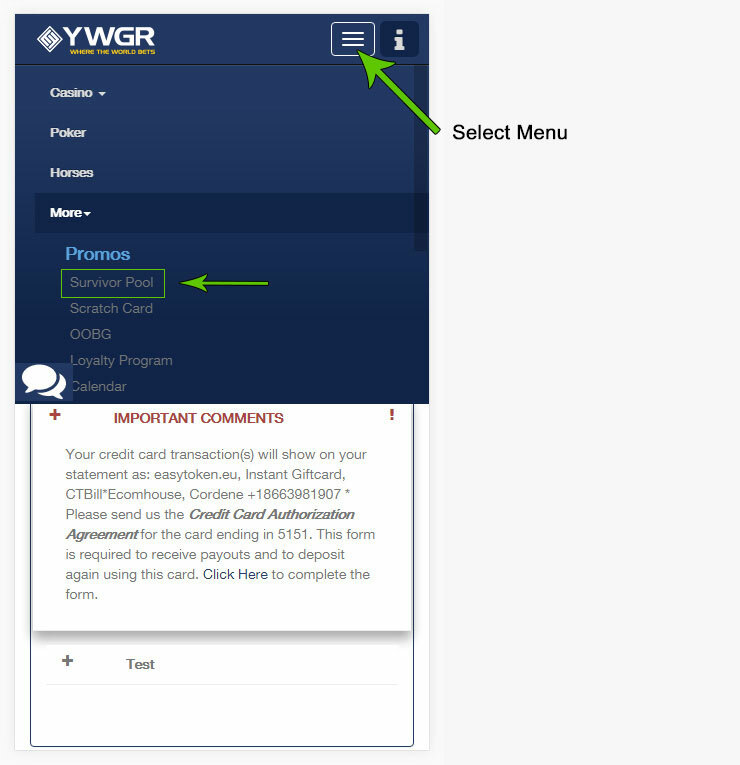 After you purchase entry into the pool you’re directed to make your first selection. 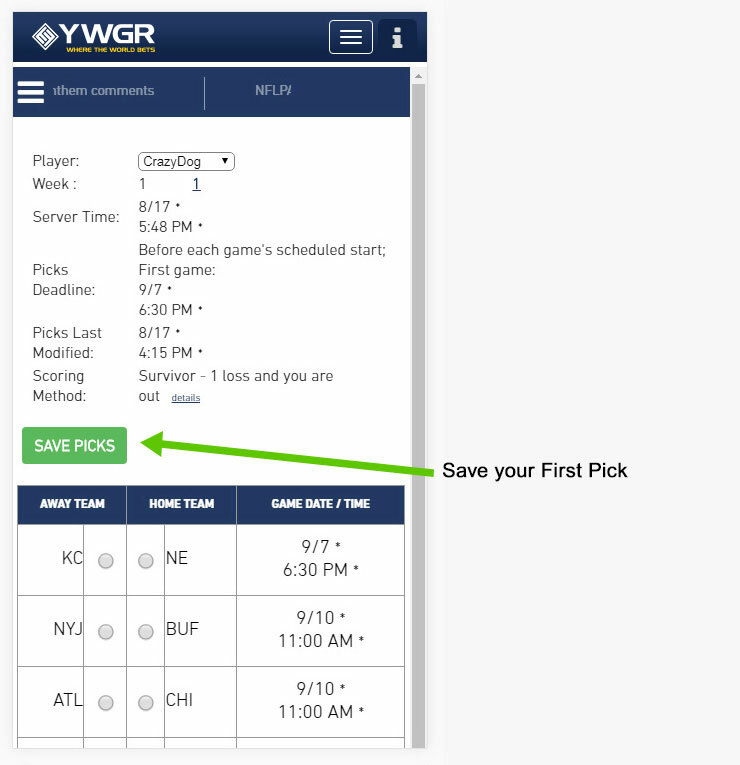 Make your pick by selecting the button next to the team name. Remember, no point spreads. You need to pick the outright winner. 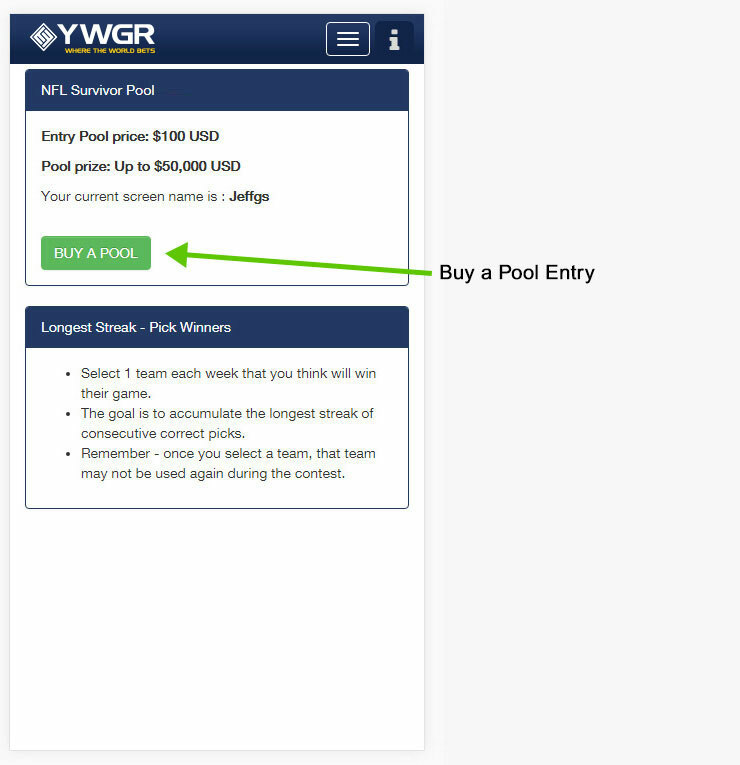 Your pool entry is identifiable by your screen name. Therefore, to enter the pool for a second, third, etc. 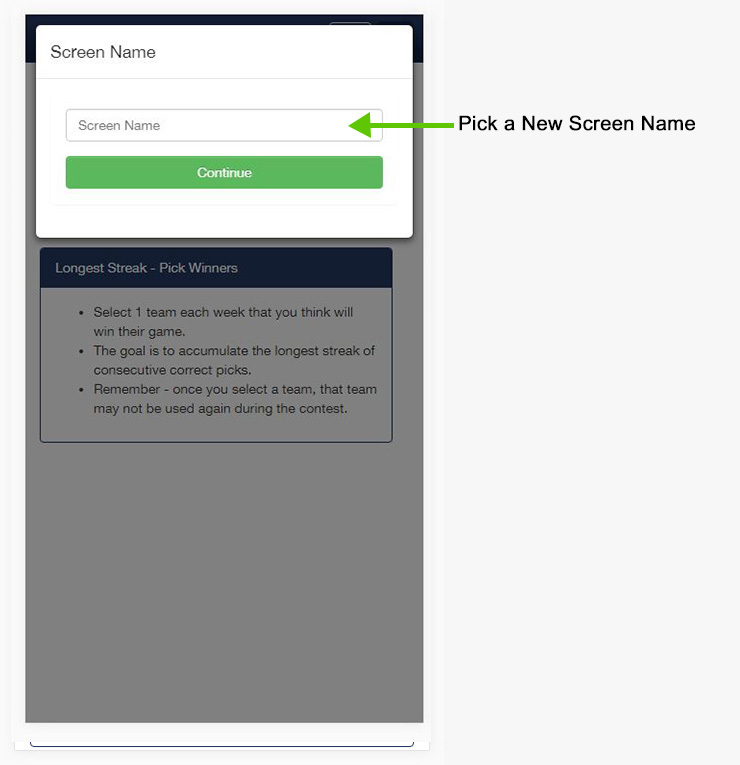 you need to create a new screen name for that entry. You need a new name for each entry. 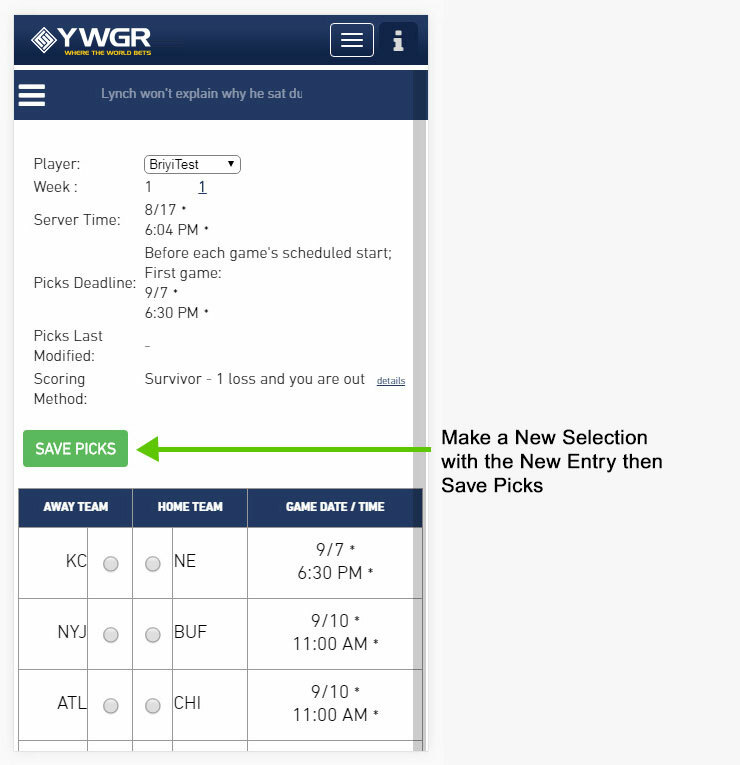 For your new submission go back to Step 3 and follow the directions to make a selection.